← Who Says Citizens Aren’t Collectable? If You Like A Good Back Story…. I’m very pleased to tell you that I’ve just published a new page 🙂 But it isn’t written by me, but by our Dutch friend Bert. 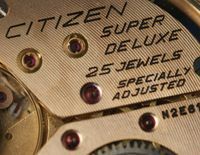 He recently acquired a very nice Citizen diver, after making contact with the seller, Kelvin, through this blog. Sounds like an ordinary kind of transaction? Well not really since Bert was very interested in the history of the watch, and Kelvin very kindly told his – and the watch’s – story. 6 Responses to If You Like A Good Back Story…. Well, there is no option for a comment in that unbelievable story, so i write here :D.
Just like the watches, which Stephen have introduced in his “This Week’s Featured Watch”-section lately, this one also preresents a quality of watchmaking, which could be compared for example to Zenith´s quality (meaning 1960-1970 period) !!! I know, this could be an arguable statement, but that´s why i wrote it here :D.
Thank you Kelvin and Bert !!! Once more, unbelievable story !!! Stephen, thank you for sharing this great story! 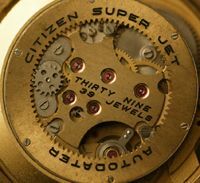 I totally agree with Marko about military history making watches more desirable . 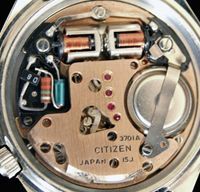 Prices of vintage Seiko divers have gone through the roof partly because of this particular reason. Yes, there´s a kind of trend going on, well at least in Ebay, that divers, military-watches and Seikos(all of them) are at their height. I have seen some cases, where, for example, diver-watch with some EB movement has gone for hundreds! Considering that movement, the “right” price for the watch should be under 10 what ever currency. Seiko-mania, it began about year or to ago. 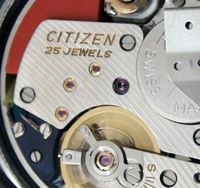 Before that, one could cost $30, now that same watch costs $150 or more! 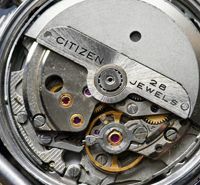 MIlitary watches are a kind of same story, prices has gone to madness… :D.
And there is same kind of trend with Citizen, prices are going to rise all the time. Interesting Marko – going to be increasingly difficult to find a bargain!